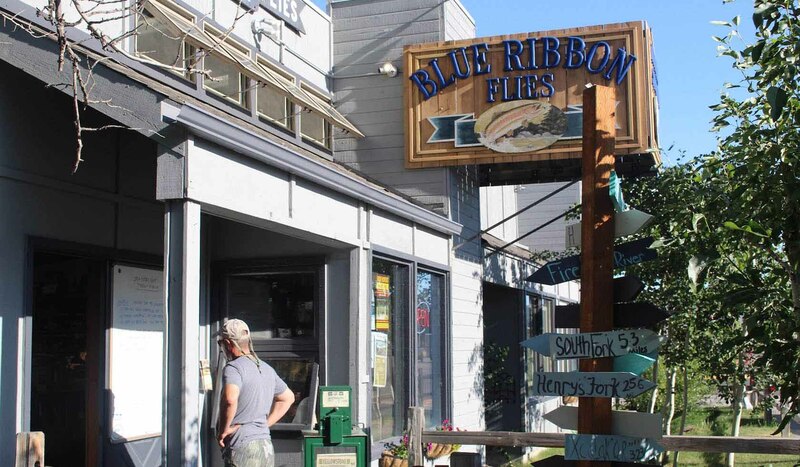 Blue Ribbon Flies offers guide trips that originate out of our fully stocked fly shop in West Yellowstone, located within minutes of the world's best fly-fishing rivers, lakes and streams. Our experienced, friendly and professional guide staff offer exceptional float trips on the legendary Madison and Yellowstone rivers. We specialize in guided walk-wade trips into Yellowstone National Park to fish classic water such as the Firehole, back country meadow water of Slough Creek and the Lamar River, or hike into lakes boiling with trout and grayling such as Grebe Lake. Check out our catalog on line at http://www.blueribbonflies.com to meet our guides, check on locally tied flies for the region, or check out the equipment needed to fish the Greater Yellowstone's lakes and rivers. We offer several road trips that combine great fly-fishing with great Montana rivers, great food, nature awareness and good company. We are happy to assist with lodging and activities in the West Yellowstone area. Call, email or stop by!